It’s an Easter miracle! This past Sunday, cast members from Scrubs reunited to celebrate the holiday, Too Fab reports. 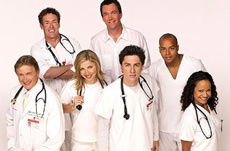 Scrubs centered on the staff of the fictional Sacred Heart Hospital. It starred Zach Braff, Donald Faison, Sarah Chalke, Judy Reyes, and John C. McGinley. The series ran from 2001 to 2010, first on NBC and later on ABC. What do you think? Were you a fan of Scrubs? Do you think the show should be rebooted? 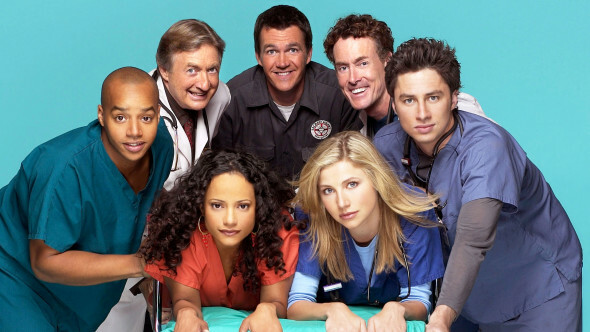 More about: Scrubs, Scrubs: canceled or renewed? Scrubs: The ABC Sitcom Is (Finally) Cancelled? Currently in re-runs. Has held up well and still enjoyable, but doesn’t need to be redone. No. I am a HUGE Scrubs fan, but we already had a “2.0” and it was pretty lame. This show was fabulous while it lasted for the first 8 years, but it’s done. Let it live on, in all its magnificent madness, in reruns. Don’t tarnish the memory of this wonderful era of our lives. Did you even read the article at all??? This had nothing to do with a new show…. Did YOU read the article? The last sentence reads “Were you a fan of Scrubs? Do you think the show should be rebooted?” I gave my response.